Please specify in your letter of intention the following: - Name, Surname, Date of birth, Nationality, Address, Telephone, E-mail, Professional status, Work address (if applicable). Also, please include the answer to the following questions: - Have you been to the United Kingdom on a professional visit before? If yes, please give details. - How did you find about STEPdoc? The grant recipients, from the establishment of the grant in 2007 up to the present, are: Tudor Botezatu (2010), Miruna Boruzescu (2009), Matei Alexandru Mocanu (2008), Adina Pintilie and Corina Radu (2007). 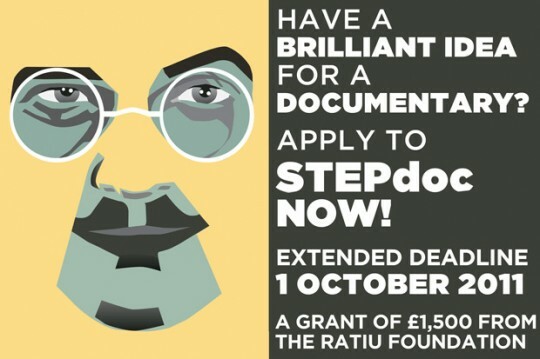 For any further information about the STEPdoc mobility grant, please contact: Ramona Mitrica, Director, Ratiu Foundation on mail@ratiufamilyfoundation.com, or go to www.ratiufamilyfoundation.com Note: Illustration above based on a poster by the Stenberg Brothers for �Prodannyy Appetit� (Sold Appetite, directed by Nikolai Okhlopkov, USSR 1928).